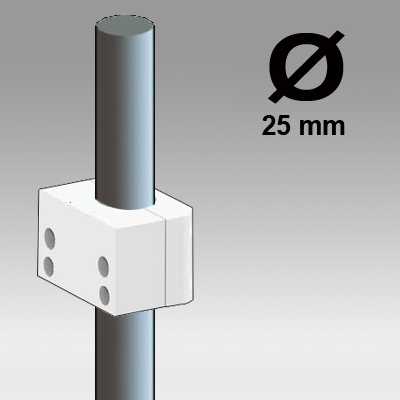 This lower pole of 300 mm comes to be fixed under the arms adjustable in height for screen allowing to fix complementary accessories on the pole. Ideal complement when no more spaces are available or even absent. The diameter of this pole is 25 mm and allows to fix all our accessories equipped with the interface of fixing on tube of 25 mm.